Would you like to do something different next Monday morning? To forget the never-ending 9-5 and make a real difference to someone&apos;s life? Or maybe you are already working in social care and want to join an organisation with values at its core? 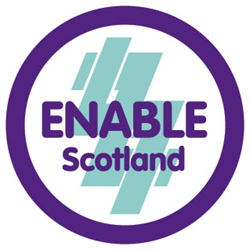 ENABLE Scotland is a dynamic and vibrant organisation dedicated to improving the lives of people with learning disabilities and we have an exciting opportunity for you to support children in Cumbernauld (RASCALS) to make the most of their lives. The Children&apos;s Personal Assistants will contribute to the coordination and delivery of an after school care service (RASCALS) and school holiday day care service (RASCALS Funshine Club) for children & young people with profound and complex disabilities. The service will be provided between 3pm - 6pm during school periods and between 9am - 4pm during school holiday periods. 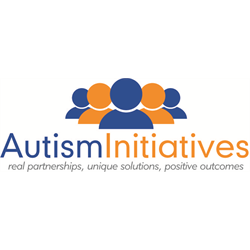 In addition to our after school care we are looking for motivated individuals to contribute to our Children&apos;s service which promotes independence and inclusion within the child&apos;s local community, accesses various recreational opportunities. We have various shift patterns available, including contracted posts 15hrs as well as sessional vacancies - which will be spent supporting at RASCALS in Cumbernauld. We have extra shifts and overtime available, through our individual weekend services and our FUNSHINE school holiday programme. If you think you could share the same interests and have the commitment to support these children to get the most out of life please apply now. You don&apos;t need experience in care to start your career with ENABLE Scotland. We recruit people based on their values and transferrable skills. No matter where you have worked before; be it retail, admin, warehousing or wherever, we want to hear from you! What&apos;s also great about ENABLE Scotland is that we believe in developing all our staff and provide an extensive training programme, combined with a commitment to create career development opportunities including SVQ Level 2. Please note all new employees must register with the SSSC within 6 months of commencing employment and failure to do so can result in termination of employment. To find out more and to apply, please see our website. Would you like to wake up every morning knowing you are making a real difference to someone&apos;s life? Do you take personal pride in your work and have a desire to help others achieve their goals? Are you a confident team player who embraces challenges with a positive outlook? ENABLE Scotland is a dynamic and vibrant organisation dedicated to improving the lives of people with learning disabilities and we have a unique opportunity for you to be part of a team who will support Frankie in East Kilbride to move into his own home. As an essential member of a dynamic team, you will be involved in team meetings, creating team strategies and working together to enhance Frankie&apos;s life, whilst ensuring his wellbeing and happiness are the top priorities. "People who know me would say that I am energetic and enjoy a wide range of sporting activities on a regular basis including walking, swimming and trampolining so this can be a physically demanding role. I also like to maintain contact with my family and my team will support me with this. Members of my team will be effective communicators and I will work with my team to show them how I need them to communicate with me. My team will help me with all aspects of living in my own home and support me to achieve my goals and outcomes." If you think you have the ability and commitment to be part of Frankie&apos;s support team please click the link to apply now. You don&apos;t need experience in care to start your career with ENABLE Scotland but an understanding of Autism and experience of supporting people who have learning disabilities would be advantageous. We recruit people based on their values and transferrable skills so no matter where you have worked before; be it retail, warehousing or wherever, we want to hear from you! What&apos;s also great about ENABLE Scotland is that we believe in developing all our staff and provide an extensive training programme bespoke to every individual we support, combined with a commitment to create career development opportunities including SVQ Level 2. 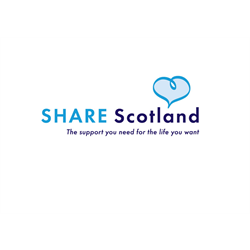 Share Scotland is a very special organisation. For more than 30 years, we have worked tirelessly with young people and adults with complex disabilities to provide individually-tailored, 24-hour care, supporting them to have positive and fulfilling lives, and to play an active role in their community. Now we are looking to the future and are recruiting for Support Workers in our services in Glasgow, West Dunbartonshire and Edinburgh. This is your opportunity to join an innovative, family-led organisation and help play your part in achieving our bold ambitions. Working as part of a dynamic and supportive team, you will be an enthusiastic person who can bring with you different outlooks and interests. Along with a dedication to the role of Support Worker, you will have the knowledge that you are supporting our service users to live their lives to the full. If you have the right personality and attitude, then we can provide you with expert training to do the job, and if you have experience or a relevant qualification, even better. The vocational training, continuous development and excellent induction package you will receive will ensure you have outstanding support throughout the progression of your career with us. We pay the Scottish Living Wage, £8.75 per hour, as our starting rate and on the occasions that sleepovers are required, an additional payment is made. Additional benefits include contributory pension scheme, life cover, SVQ training and a generous holiday allowance. This is a fabulous opportunity to be part of a dynamic team who are expanding in order to allow others to experience new opportunities, face new challenges, realise new ambitions and grow as individuals. Investors in People recently described us as an organisation whose staff were “fundamental to the reasons the organisation is such a special place”.